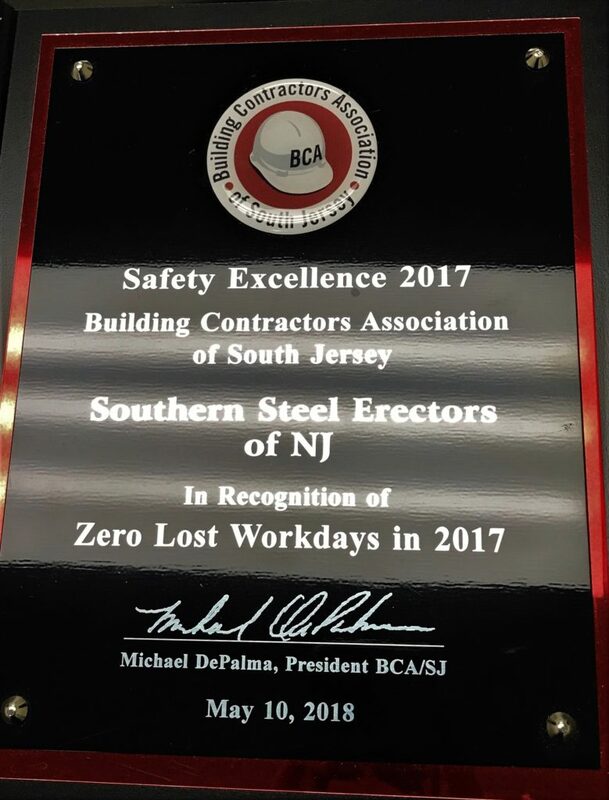 Congratulations to our affiliate company, Southern Steel Erectors of New Jersey, for receiving the 2017 Safety Excellence Award from the Building Contractors Association of South Jersey for Zero Lost Work Days. 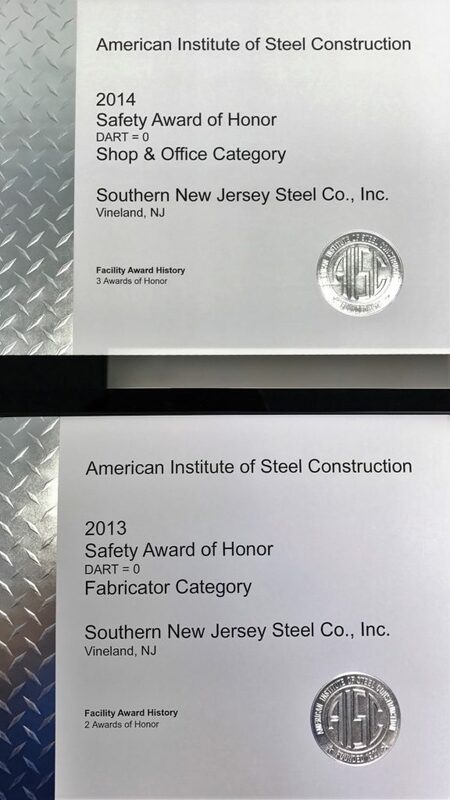 We are pleased to announce that SNJS has been awarded, for the second year in a row, the American Institute of Steel Construction’s Safety Award of Honor in the Shop & Office category in recognition of our safety achievements in 2013 and 2014! 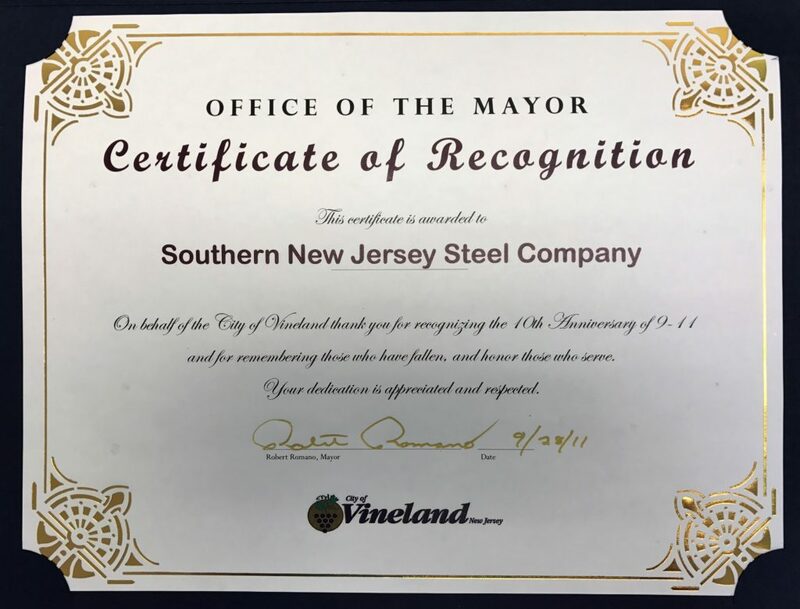 SNJS would like to extend congratulations to our affiliate company, Southern Steel Erectors of New Jersey. 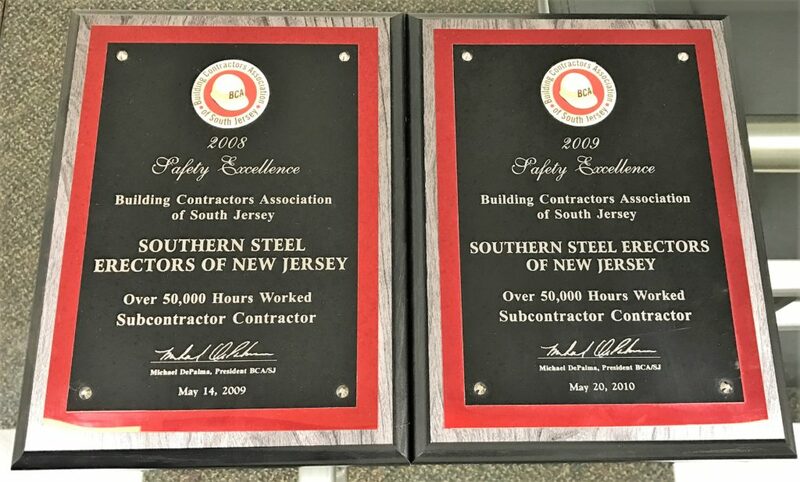 Two years in a row, 2008 & 2009, they have received the Safety Excellence Award for working over 50,000 hours from the Building Contractors Association of South Jersey. 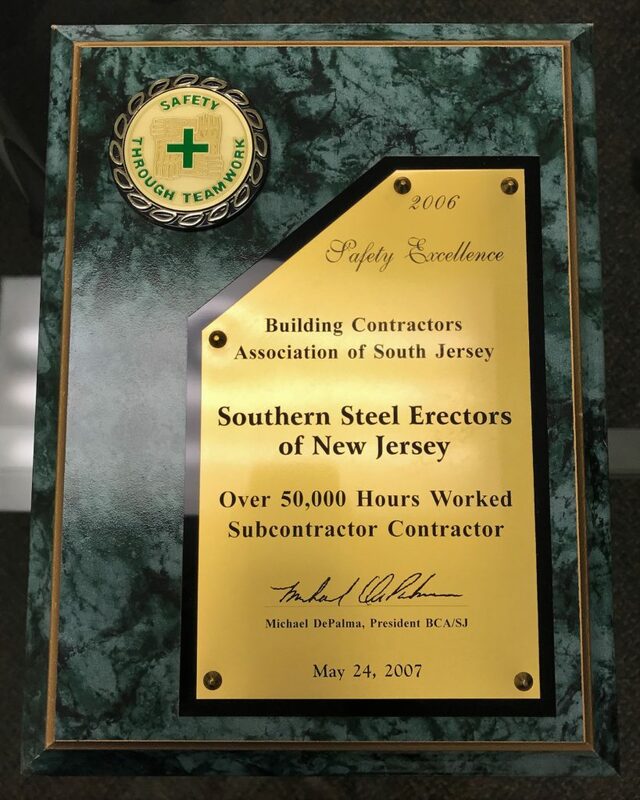 Congratulations to our affiliate company, Southern Steel Erectors of New Jersey, for receiving the 2006 Building Contractors Association of South Jersey’s Safety Excellence Award in the Subcontractor/Contractor category. 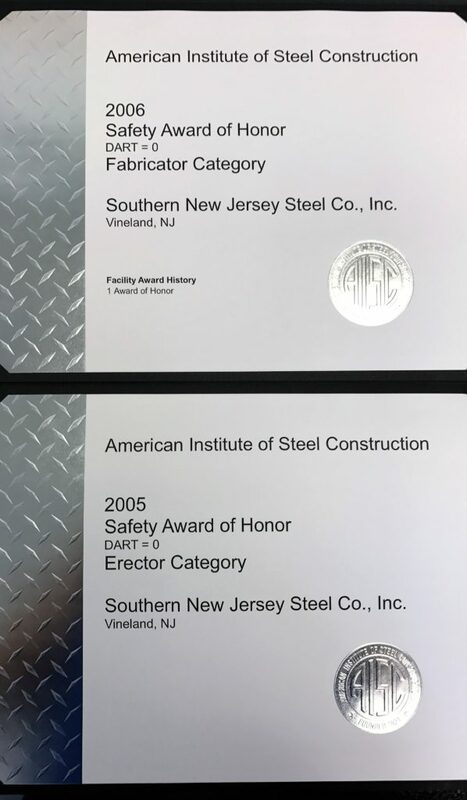 They worked over 50,000 hours! 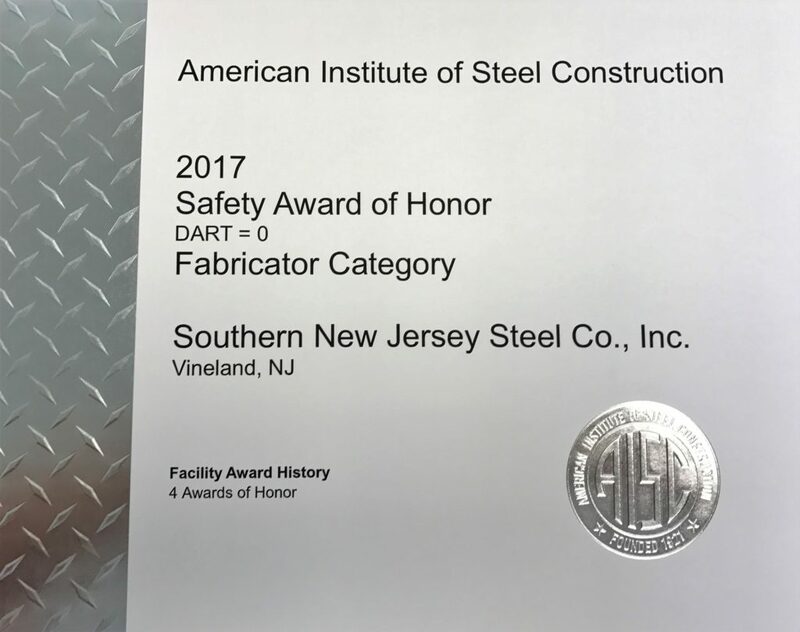 We are pleased to announce that SNJS has been awarded an American Institute of Steel Construction Safety Award of Honor for reporting a lost workday case incident rate of 0 in 2005 and 2006!